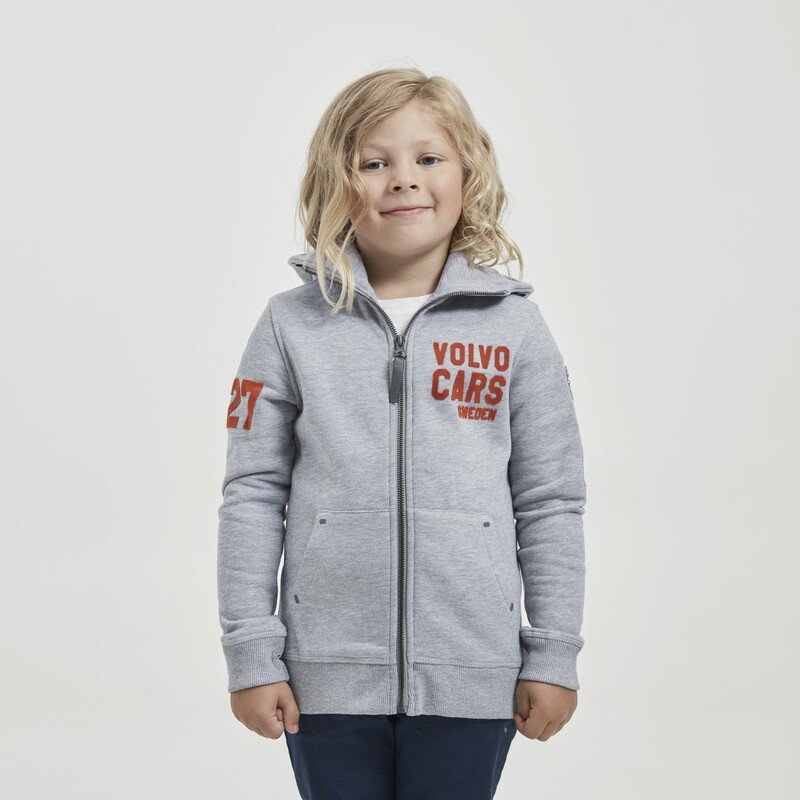 Hooded zip-up sweatshirt with two front pockets and a Volvo Cars print on the front. Made from 80 per cent cotton and 20 per cent polyester. Sizes: 4-6 years, 6-8 years and 8-10 years.